Kilkis (Greek: Κιλκίς) is an industrial city in Central Macedonia, Greece. As of 2011 there were 22,914 people living in the city proper, 28,745 people living in the municipal unit, and 51,926 in the municipality of Kilkis. It is also the capital city of the regional unit of Kilkis. Kilkis is located in a region that was multi-ethnic in the recent past and is known by several different names. The name of the city in Roman times was Callicum. In the early Byzantine times was called Kallikon, and was also known as Kalkis or Kilkis by the Greeks. In Macedonian and Bulgarian, it is known as Kukush (Кукуш). In a Greek church Codix of 1732 it is mentioned as Kilkisi (Κηλκήση)., while in a Slavic church Codix from 1741 it is mentioned as Kukush or Kukosh (Кукуш, Кукоуш). It was called Kılkış by the Ottomans. The municipality has an area of 1,599.604 km2, the municipal unit 319.834 km2. The province of Kilkis (Greek: Επαρχία Κιλκίς) was one of the provinces of the Kilkis Prefecture. Its territory corresponded with that of the current municipality Kilkis, and the municipal unit Polykastro. It was abolished in 2006. Findings dating back to as early as the Bronze and Iron Age have been excavated in the vicinity of Kilkis, including ancient tombs of the 2nd millennium BC. In classical antiquity, the wider region of Kilkis was ruled by the kingdom of Macedon. At the time, Kilkis was in the center of a region called Krestonia. When Phillip II of Macedon visited Krestonia, the locals offered him olives from Krestonia valley, something that he had never eaten before. At that time, many towns flourished in the region, such as Idomeni, Atalanti (Axioupoli nowadays), Gortynia (Gorgopi nowadays), Planitsa (Fyska nowadays), Terpillos, Klitae (Xylokeratia nowadays), Vragylos (Metalliko nowadays), Ioron (Palatiano nowadays), Chaetae (Tsaousitsa nowadays), Carabia (Limnotopos nowadays), Bairos (Kastro nowadays), Morrylos (Ano Apostoli nowadays), Doveros (Doirani nowadays), Evropos and Kallindria. In 148 BC, the Romans took over the area. In late antiquity the area of Kilkis saw invasions of different tribes, such as the Goths, the Huns, the Avars and the Slavs, some of whom gradually settled in the Balkan Peninsula. In the Middle Ages, Kilkis changed hands several times between the Byzantine and Bulgarian Empires. In the 10th century, it was sacked by the Bulgarians, and some of the inhabitants moved to Calabria, in southern Italy, where they founded the village of Gallicianò. During the reign of the Palaeologus dynasty, the region saw the completion of a number of important infrastructure works. The period of prosperity ended in 1430, when Thessalonica and the entire region of Macedonia came under Ottoman rule. In the first half of the 18th century, Kukush (or Kukosh) was known as a village. After 1850, there was one Greek church, "Panagia tou Kilkis" (Madonna of Kilkis), at the foot of Saint George hill and one Greek school. In 1840-1872 the Bulgarian enlighters Dimitar Miladinov, Andronik Yosifchev, Rayko Zhinzifov and Kuzman Shapkarev were teachers in the local school. By the mid-19th century Kilkis was a primarily Bulgarian-populated town. According to one estimate, there were about 500 Greeks, 500 Turks and 4500 Bulgarians in the town  at the time. An 1873 Ottoman study concluded that the population of Kilkis consisted of 1,170 households of which there were 5,235 Bulgarian inhabitants, 155 Muslims and 40 Romani people. A Vasil Kanchov study of 1900 counted 7,000 Bulgarian and 750 Turkish inhabitants in the town. Another survey in 1905 established the presence of 9,712 Exarchists, 40 Patriarchists, 592 Uniate Christians and 16 Protestants. In the late 19th and early 20th century, Kilkis was part of the Salonica Vilayet of the Ottoman Empire. In 1893-1908, the Bulgarian inhabitants of the town participated in the activities of Internal Macedonian Revolutionary Organization (IMRO). The leader of IMRO Gotse Delchev was born in Kilkis (Kukush in Bulgarian). In 1904–1908, the Greek inhabitants of Kilkis participated in the Macedonian Struggle ("Greek armed struggle for Macedonia"). The leaders of Greek efforts were Georgios Samaras, Ioannis Doiranlis and Petros Koukidis with their armed corps. Evangelia Traianou-Tzoukou and Ekaterini Stampouli were the leaders for the Greek education and hospitalization of Macedonian fighters. Great support to the Greek efforts was given by the Chatziapostolou family. The Chatziapostolou family owned a great farm in Metalliko, the field crop of which was almost completely given to fund the Greek efforts. The farm also served a shelter for the Macedonian fighters. Lithography of the Battle of Kilkis (Second Balkan War), 1913. During the First Balkan War of 1912, the Ottoman Empire was defeated by the Balkan League and forced to concede almost all of its European territories, leaving Kilkis within the new boundaries of Bulgaria. In the Second Balkan War of 1913, the Greek army captured the city from the Bulgarians after the three-day Battle of Kilkis-Lahanas between June 19 and June 21. The battle was costly, with over 8,652 casualties on the Greek side and 7,000 on the Bulgarian side. The significance of the Battle of Kilkis-Lahanas can be appreciated by the fact that Greece named a battleship after the city, the Kilkís. Kilkis was almost completely destroyed by the Greek Army after the battle and virtually all of its 13,000 pre-war Bulgarian inhabitants were expelled to Bulgaria. The new town was built closer to the railway tracks to Thessaloniki, around the Greek church of St. George, and was settled by Greeks who were expelled from Bulgaria, the Ottoman Empire and Bulgaria, especially from Strumica; they built the Church of the Pentekaídeka Martýrōn ("15 Martyrs", named after the main Patriarchal church in Strumica). The resettled Greeks were so many that Kilkis was temporarily renamed Néa Stromnítsa (New Strumica). In the mid-1920s, after the Asia Minor Catastrophe, waves of refugees came to Kilkis, thus giving a new boost to the region and contributing to the increase of its population. Likewise, the Turks (a generic term for all Muslims, whether of Turkish, Albanian, Greek, or Bulgarian origin) of the region had to leave for the new Turkish state in the exchange of populations. In the aftermath of the Balkan Wars, World War I and the Greco-Turkish War (1919-1922) most of the Turkish and Bulgarian population of Kilkis emigrated, and many Greeks from Bulgaria and Turkey settled in the area, as prescribed by the Treaty of Lausanne. In fact, a very large segment of the population of Kilkis regional unit are in origin Caucasus Greeks (that is, Eastern Pontic Greeks) from the former Russian Imperial province of Kars Oblast in the South Caucasus. They left their homeland in the South Caucasus for Kilkis and other parts of Greek Macedonia, as well as southern Russia and Georgia, between 1919 and 1921, that is, between the main Greece-Turkey population exchange and Russia's cession of the Kars region back to Turkey as part of the Treaty of Brest Litovsk. By 1928, 1,679 Refugee families containing 6,433 individuals had been resettled in Kilkis. Barely two decades later, World War II broke out and the region was devastated once again. 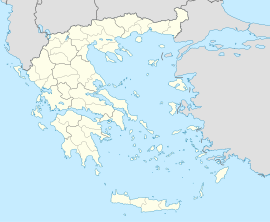 During the occupation of Greece by the Axis Powers in World War II, Kilkis was included in the German zone of occupation, but in 1943 it became part of Bulgarian zone, which was expanded to include the prefectures of Kilkis and Chalkidiki, after the Nazis allowed so. The most significant event during the occupation was the Battle of Kilkis which took place on 4 November 1944 between the communist-led EAM and a coallition of the collaborationist Security Battalions and nationalist resistance organizations. Kilkis is an industrialized town. ALUMIL Aluminium Industry S.A, the largest non-ferrous metal industry in Greece, is based also in Kilkis. Kilkis hosts the football club Kilkisiakos F.C. with earlier presence in 2nd-tier division of Greek championship and the handball club G.A.S. Kilkis which has won a Greek cup. ^ a b Хилендарската кондика от 18 век. Представена от Божидар Райков, София 1998, с. 41, 43 (notes in the Codix of the Hilendar Monastery from 1741). ^ „Македония и Одринско. Статистика на населението от 1873 г." Macedonian Scientific Institute, Sofiya, 1995, pp. 160–161. ^ Vasil Kanchov. „Macedonia. Ethnography and Statistics". Sofia, 1900, pages.164. ^ Brancoff, D. M. "La Macédoine et sa Population Chrétienne". Paris, 1905, pp. 98–99. ^ In Greek: "Christos Intos: Centres of Organization, Action and Resistance of the Greeks of Kilkis Prefecture during the Macedonian Struggle". Proceedings of Conclave "100 Years after Pavlos Melas' Death", Company of Macedonian Studies, Thessaloniki, 2004. ^ Report of the International Commission to Inquire into the Causes and Conduct of the Balkan Wars. Washington, D.C.: The Carnegie Endowment for International Peace. 1914. pp. 97–99. When the Greek army entered Kukush it was still intact. It is today a heap of ruins — as a member of the Commission reports, after a visit to which the Greek authorities opposed several obstacles. ^ Report of the International Commission to Inquire into the Causes and Conduct of the Balkan Wars. Washington, D.C.: The Carnegie Endowment for International Peace. 1914. p. 98. It was a prosperous town of 13,000 inhabitants, the center of a purely Bulgarian district and the seat of several flourishing schools. Туше Делииванов - "Един Дълг; Лазар в Кукуш", публикуванo во "Кукуш", број 1, Софиja, 24 мај 1924 годинa An article about Kukush(Kilkis) by the Revolutionary Tushe Deliivanov published in "Kukush" magazine in 1924. This page was last edited on 13 March 2019, at 00:29 (UTC).